Even if you’re a veteran of From Software’s other games like the Dark Souls series, Demon’s Souls, or Bloodborne, you’re still going to have quite a bit of learning to do when you fire up Sekiro: Shadows Die Twice. The latest action-adventure game from the legendary studio is among the most challenging games we’ve ever played, blending stealth with traversal and all-out action to create an experience unlike any of its other games. If you wish to survive – or just keep your deaths from going into the thousands – you’re going to need a little help. Here’s your Sekiro: Shadows Die Twice beginner’s guide. Get some Unrefined Sake and take some deep breaths, because there will be some growing pains. 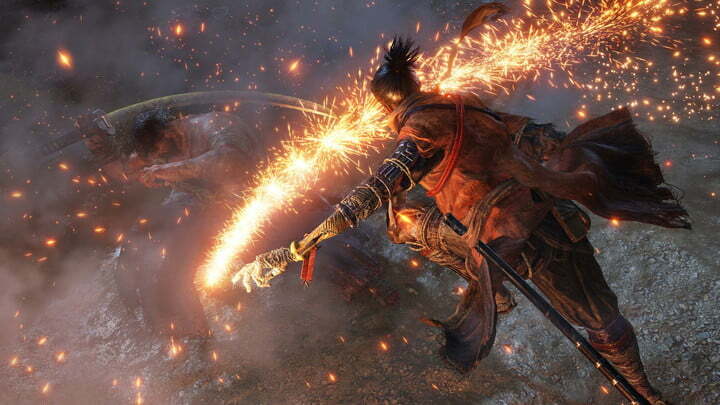 There are two main ways you can assassinate or launch a powerful sneak-attack “Shinobi Deathblow” on enemies in Sekiro, both of which deal equal amounts of damage. The first is to sneak up behind an enemy (crouch by clicking the left stick and lock on by clicking the right stick) and hitting the attack button when a red circle appears. If it’s standard enemy with only one health bar, this will be an instant kill. If it’s an enemy with more than one health bar, it will eliminate the first. You can also perform a stealth attack by leaping from above. Lock onto an unaware enemy underneath your position and line up a jump so you land on top of it. When the red circle appears, hit the attack button and you’ll drive your sword into them. 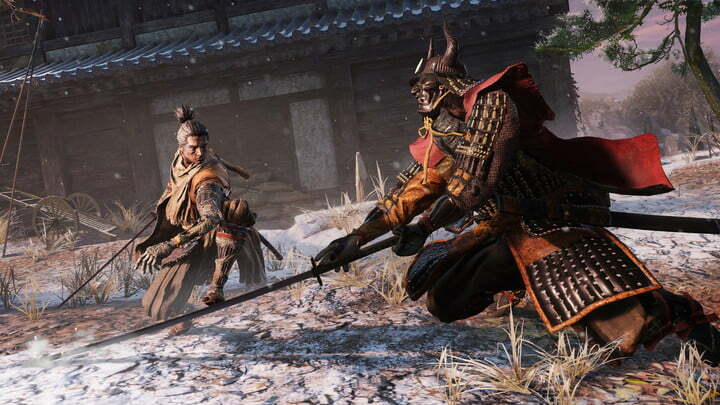 If you’re used to being able to stealth-kill enemy after enemy like in Splinter Cell or Metal Gear Solid, you’ll be in trouble with Sekiro. Stealth-killing an enemy will almost always alert nearby enemies. Additionally, the target you’re attacking has to be unaware of your exact location. If they have a red triangle over their head or are actively attacking you, the attack won’t work in the early stages of the game. If the triangle is yellow, however, that means they’re searching for you but don’t know your location – you can still sneak behind them for the kill. Hit-and-run tactics can be viable in Sekiro: Shadows Die Twice, as long as you have a means of escape. Drop down or sneak up behind an enemy for your first kill, then look for grappling points above you. If one is available, it will display as a green circle, and you can hold the left trigger to zip up and away from danger. Wait for the enemies to forget about you and do the whole thing over again! Things pop off whenever enemies spot you in Sekiro, and that’s where standard sword fighting comes into play. This isn’t like Dark Souls where you simply block before dealing damage to enemies. Instead, you have to use a combination of attacks, dodges, deflections, and blocks to wear down your target’s Posture. Once this is done, you can land a Shinobi Deathblow that is identical to the stealth assassination attack. This means that you have to stay aggressive, as Posture recharges over time and it takes forever to whittle down an enemy’s health without breaking their Posture. The best way to stay on the offensive – and even occasionally earn instant kills – is to deflect enemies’ attacks. Instead of holding down the “block” button, press it just before you’re about to get hit and you’ll knock the enemy’s weapon away. This will damage their Posture and give you a second to get in a hit or two of your own. 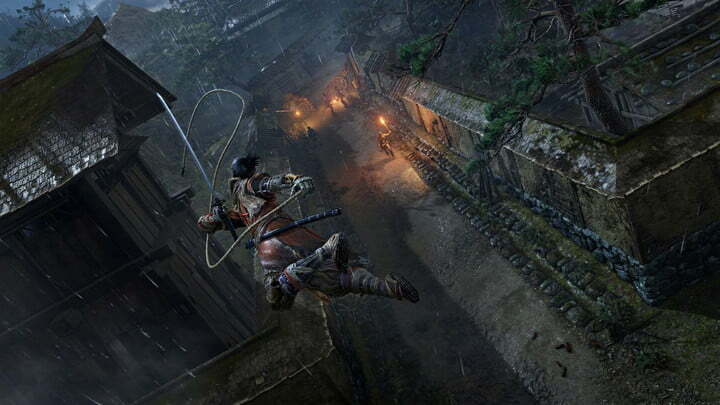 Stamina isn’t a factor in Sekiro: Shadows Die Twice, so you can also dodge as much as you want. This doesn’t affect your Posture and can often give you the opportunity to land some hits on a tough enemy, but it’s not a universal strategy. If an enemy seems too quick for dodging, they probably are. Just like in the Dark Souls games, you have a healing item called the Healing Gourd that refills whenever you rest at the Sculptor’s Idol checkpoint areas. It has a limited number of charges that can be expanded by using Gourd Seeds, found from certain enemies and throughout the world. You need to use the Healing Gourd, even if you aren’t closed to death, because your health is tied to the rate at which your Posture recharges. Fight with half-health, and you’re making things more difficult for yourself. The biggest addition to the From Software formula in Sekiro: Shadows Die Twice is the Shinobi Prosthetic, a false arm given to the Wolf after the prologue. It can be fitted with a variety of attachments, and they’re activated by pulling the right trigger during combat. Available attachments include a flamethrower, a spring-loaded spear, and a shuriken launcher, each of which offers unique benefits. All of these are tied to consumable Spirit Emblems, which can be found in the game world and enemies, or purchased at a Sculptor’s Idol. If you’re struggling with a certain type of enemy, there’s a good chance an attachment could take care of it. Shielded enemies, for instance, are susceptible to the axe, while fire can be useful for dealing damage and wearing down Posture. You can get creative with how you use the attachments, and can swap between your equipped ones on the fly by hitting the Triangle or Y button. You’ll find additional attachments over the course of your adventure, and they’re often located in chests. You can’t use them without first going to the Dilapidated Temple you visited at the start of your journey. There, the Sculptor will take your new attachment and fit it to your prosthetic.